Today we bring you a mod that its author was unable to continue and was another modder that updated it so we can continue enjoying it. 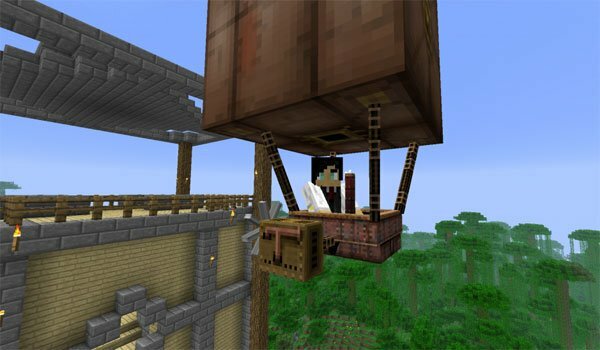 Steampunk Airships 1.4.7 is a mod that allows us to take to the skies of Minecraft with a zeppelin. The zeppelin would be built in three prarts: the “globe”, the basket and two engines. See how to craft it in the image below. In and out, right click. 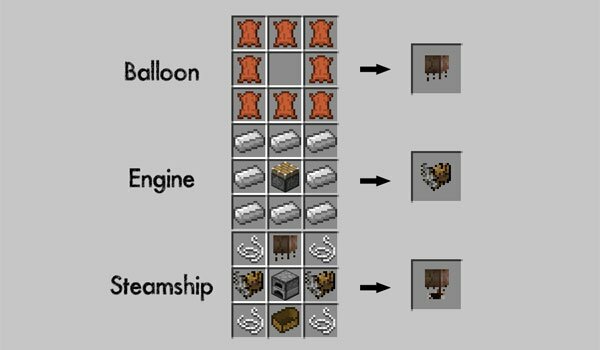 How to install Steampunk Airships Mod for Minecraft 1.4.7? Use a zeppelin to navigate in your Minecraft world!